Beaches and Bays Guest Accommodation is offering extra discounts to save you even more for your summer season holiday or business trip! and enjoy the discounts currently on offer too!! visit our FACEBOOK PAGE TOO!! https://facebook.com/beachesandbays. Our recent ad campaign offered no increases for 2019 and we can now offer extra discounts to save you even more for holiday or business trips! 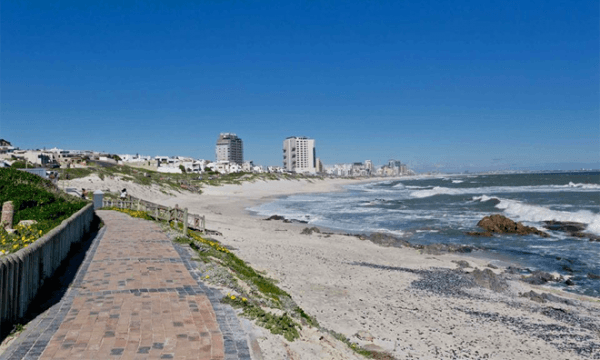 We are situated 1km from our local “beaches and bays” where one can see the world famous views of Table Mountain and Robben Island. 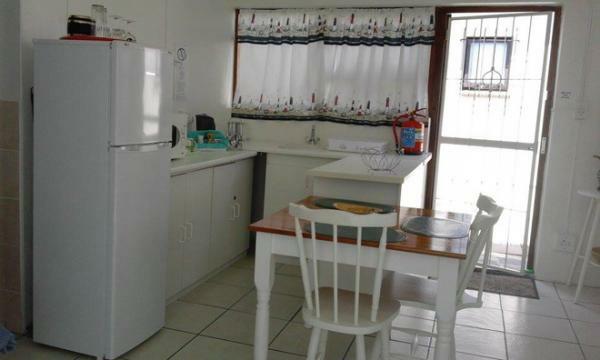 Beaches and Bays Guest Accommodation is a small, modest guesthouse,registered with the City of Cape Town Local Authority and has been in existence since before 2009. We are an active, semi retired husband and wife team who still enjoy hosting guests and assisting them where possible. 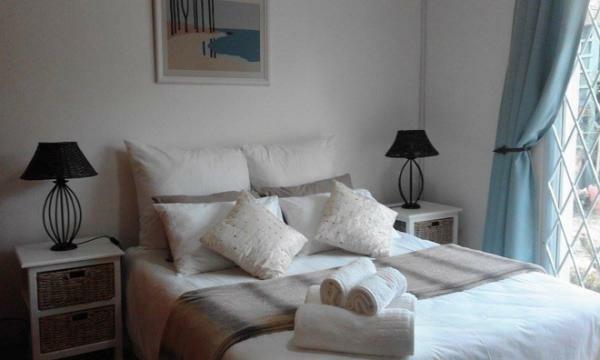 We offer clean, comfortable units in a friendly and homely atmosphere and is owner managed. We have lived in this house and area for many years and would not live anywhere else as we totally enjoy our suburb and all it has to offer. There are 3 separate units attached to the main house, all private with their own separate entrances and facilities. 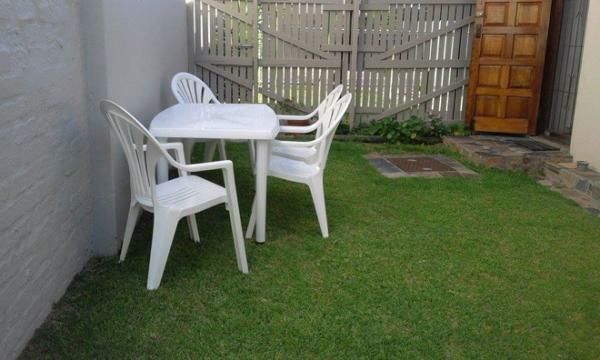 The premises and gardens have a relaxed, homely and secure setting. The accommodation is spacious, airy and sunny even on some days in winter as the Cape can experience mild winters with warm sunny days. There is a swimming pool with security pool fencing surround with lockable gates, a barbecue/braai area, covered shaded patios and a tropical style garden for you as our guests to enjoy. The family unit has a small lock up garden and yard/courtyard. We cater for the single person, couples as well as families. UNIT 1 – Family unit : is a large open plan unit furnished with Queen size bed, lounge/diner, and shower facilities as well as a small children’s bedroom having 2 twin beds. Private with own shower facilities, separate entrance and has a lock up enclosed garden. Tea/coffee making area includes fridge /freezer, kettle, cutlery and crockery. Sleeps 2 to 4 persons. 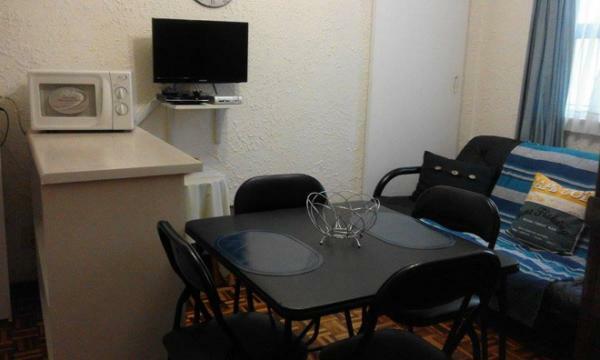 UNIT 2 - Bachelor unit: is an open plan unit furnished with a double bed and a double sleeper couch. Tea/coffee making area includes fridge /freezer, kettle, cutlery and crockery. Private with own shower facilities and separate entrance. Sleeps 2 persons. UNIT 3 – Garden Rooms unit is privately situated in main house and consists of 3 rooms. 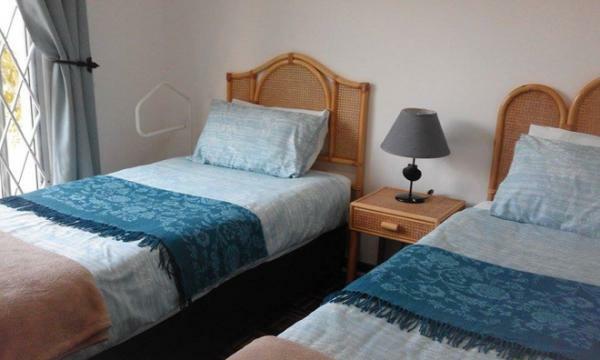 One is a double bedroom furnished with a Queen size bed, the second bedroom has 2 single beds. The 3rd room has the shower facilities and also serves as the TV / Diner room. Tea/coffee making area includes fridge /freezer, kettle, cutlery and crockery. Sleeps 2 to 4 persons. 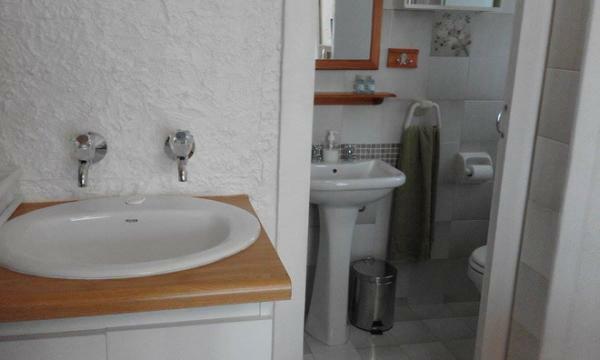 Private with own shower facilities and separate entrance.